Wow! Thanks to you, we raised almost $24,000 for inclusion! Thank you so much to everyone who made the 2019 Dancing Like the Stars a success! 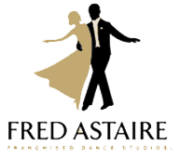 Thank you dancers, thank you supporters, thank you sponsors, thank you Fred Astaire dance studio. Click a Dancer's photo to visit their individual fundraising page . While the dancers shimmy and sweat in the studio, they are also raising money through their personal fundraising web pages. The dancer who raises the most by the end of the live performance on April 13th is the winner! You can make your vote/donation for your favorite dancer online or by mail. Click a dancer's picture to be taken to their personal DLTS fundraising page to donate by credit card. All proceeds directly support National Inclusion Project and our work to make inclusion of children with disabilities the expectation, not the exception. Read more about who we are and what we do here.